Built on a hill with a panoramic view of the sea, Blue Horizon Apartments offer spacious and bright studios and apartments. This modern, glass-fronted complex is only a short stroll from the quaint, magnificent, sandy beach. 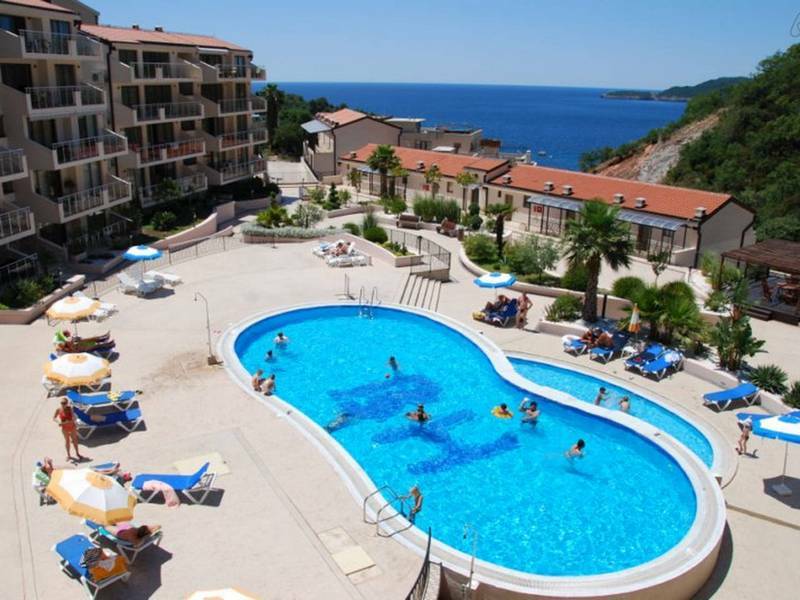 It is a perfect place for families and couples looking for a relaxing holiday o the Montenegrin coastline. Boasting 2 outdoor pools with sun loungers and parasols sun beds and sunshades, this complex feature also well-maintained, illuminated grounds and free private parking. All units are air-conditioned, with fully-equipped kitchens, panoramic sea views, cable TVs, washing machines, furnished balcony. 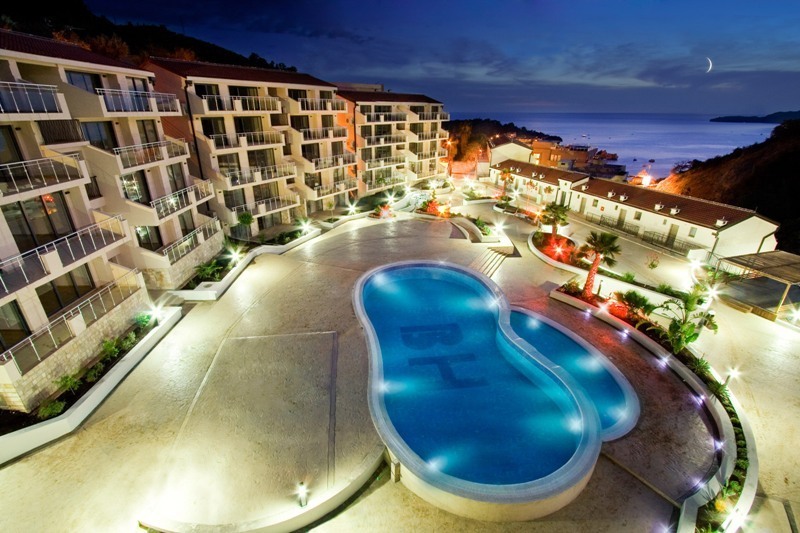 Situated 7 km from the centre of Budva, and only 1km from famous St. Stefan resort, Blue Horizon Apartment Complex is just 400 metres away from the restaurants which serve local and international specialities.